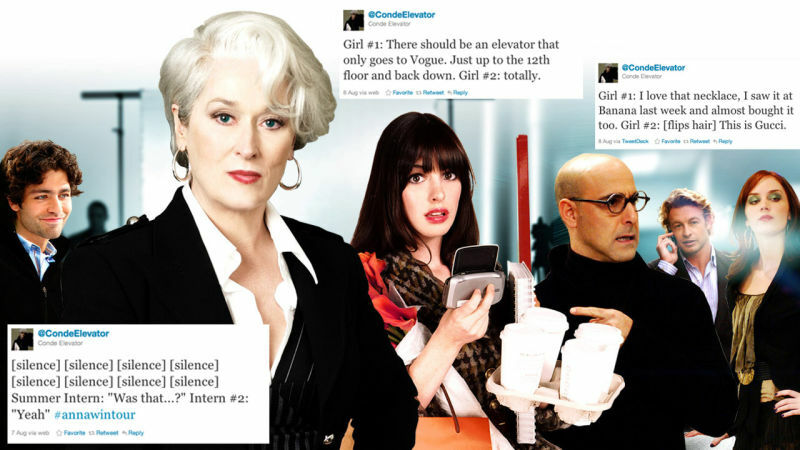 Who is behind hot new Twitter account @CondeElevator, which tweets supposedly overheard conversations from the likes of Anna Wintour, and accrued 32,000 followers in mere days? Gatecrasher says it's a Teen Vogue employee. Business Insider says the culprit is "about to get unmasked." ABC News says "it could be anyone." Update: And that it's "coming from one or more people at a '4-16' magazine, meaning, a title located between the fourth and 16th floors of Condé Nast,"for a fact." 1. Devin Gordon, @Devingo913, "Senior Editor, GQ Magazine"
2. Lauren Bans, @LaurenBans, "Associate Editor at GQ"
4. 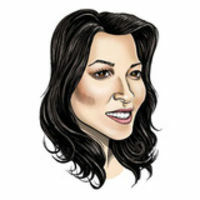 Bobbie Gossage, @BobbieGossage, "an editor at Inc. Magazine"
5. Zeke Turner, @ZekeFT, "Media Reporter at WWD"
8. Mark Lotto, @marklotto, "Senior Editor, GQ"
9. Dan D'Addario, @DPD_, "staff writer at the New York Observer"
10. Angela Wu, @angelawutweet, "Journalist and college student @Princeton"
12. Alex Cook, alxxcook, mystery person Update: He just just emailed a bio. Alex Cook is a 24 year-old, fabulous New Yorker. His academic creds include American Boychoir Class of 2001 (that's me on the website, scroll down! ), The McCallie School class of 2005 (no link, high school was totally hard for everyone, ok?). Dartmouth Class of 2009 (omgcampusceleb). Just finished two years of back-breaking, soul curdling investment banking and now doing global strategy at the best. He does not work at Teen Vogue. 14. Alex Carlin, @AlexCarlin, "Heart Magazines PR"
Three GQ editors, several people with GQ ties, a bunch of media reporters, and not a Teen Vogue employee in sight. (That we know of.) We asked a few of these people how they discovered @CondeElevator. Some said @CondeElevator followed them first. Two cited early RT's, but couldn't (or wouldn't) remember who did it. Do you know? Email me, or postulate in the comments.